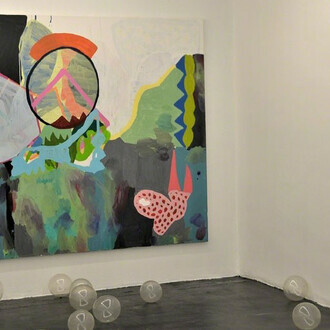 5 June - 26 July 2013 at Sladmore Contemporary, London. Sladmore Galleries present full splendour of Nic Fiddian-Green sculpture. 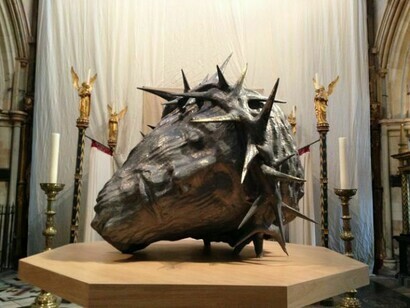 Dominating Feature ‘Christ Rests In Peace’, 8 foot high, with savage crown of thorns, cast in lead, finished in gold leaf, expresses a spiritual element at the heart of Nic Fiddian-Green’s work. First seen in Southwark cathedral during Lent and Holy week, Christ Head will make a compelling impact in the window of the Sladmore gallery in Jermyn Street. 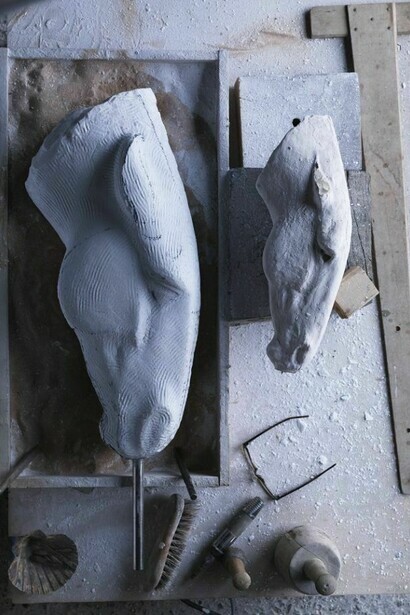 Neo-classical horses' heads, inspired by the Greek ideal, cast in bronze or lead by the ancient ‘lost wax’ method, with his own meticulous methods of colouration, have brought Nic Fiddian-Green recognition around the world. His 35 foot 'Still Water' in Marble Arch, is admired by thousands of visitors. 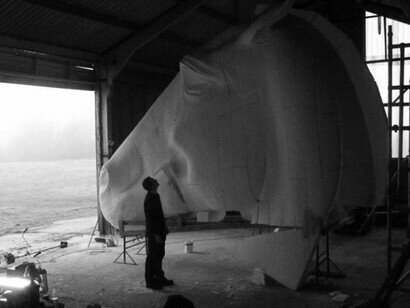 During the summer his monumental sculptures inspire the crowds at Glorious Goodwood, Royal Ascot and Glyndebourne. A long list of distinguished Fiddian-Green collectors include movie stars, best selling writers, landowning grandees and business giants. 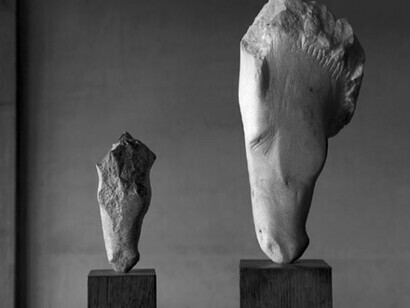 At Sladmore Contemporary there will be marble carvings, drawings, and a small collection of new bronzes, also smaller studies for the Christ head. His working environment is sometimes described as more like a blacksmith’s forge or workshop than a conventional artist’s studio. Nic Fiddian-Green was born in Hampshire in 1963. He graduated from Wimbledon School of Art, London with a BA in Sculpture, and went on to attain his MA at St. Martin’s School of Art, where he also took a Diploma in Advanced Lost Wax Casting. 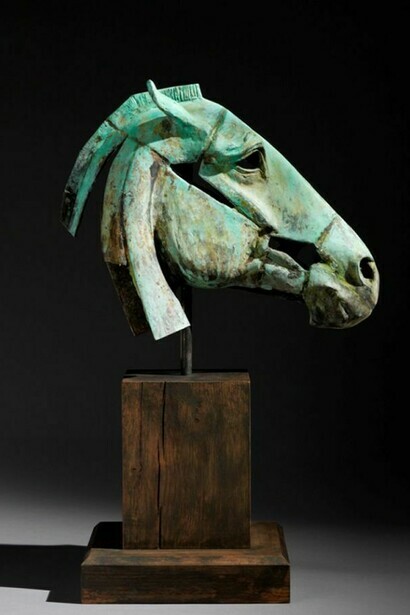 He is best known as an equestrian sculptor, working primarily in bronze and in beaten lead. 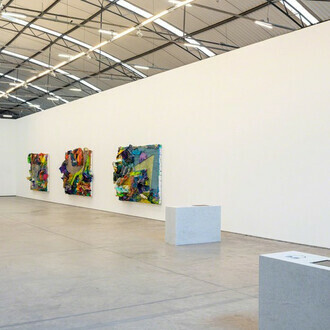 He held his first exhibition in 1986, and has since been in demand by galleries and collectors alike: his work is now shown regularly in London, New York and Australia. 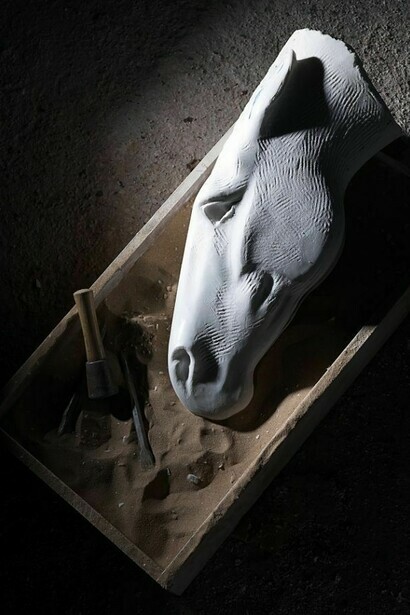 In addition he is well-known for carrying out major site-specific commissions: two recent monumental pieces have been Turning Horse for Glyndebourne Opera House in Sussex, and Horse’s Head in the Wind, for Treasury Holdings in Barrow Street, Dublin. Like many who have spent a life with horses and know them intimately, Fiddian Green took them for granted during his early life: they were simply there. However, his view was changed in 1983 when he first saw the Elgin marbles at the British Museum. He began to see the horse as a spiritual entity, not just a living thing with a beauty and energy particular to itself but a universal vessel for a whole breadth of emotions. 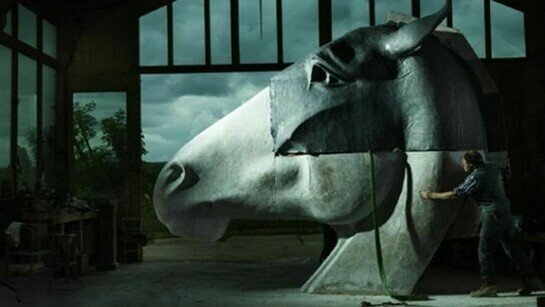 A Fiddian Green horse is not an animal sculpture in any traditional sense. It goes beyond the portrait to become a study in energy and quietude, exuberance or wistfulness. This spiritual quality manifests itself in so much of Fiddian Green’s oeuvre. 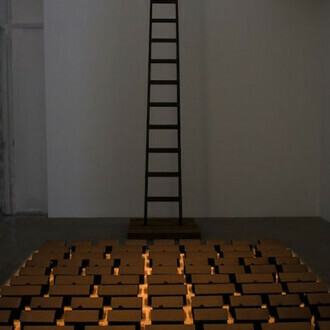 He is one of the few contemporary sculptors to address religious subjects head-on. His Head of Christ is perhaps the most powerfully explicit Christian work of art produced in the last ten years, tender yet unflinching in its evocation of Christ’s ordeal and His place in an increasingly secular world. One of the keys to Fiddian Green’s work is his love of materials, expressed in the fact that - unusually amongst contemporary sculptors - he casts his own work. Having earned his diploma in bronze-casting, he put this into practice in 1992 when he was commissioned to carry out a project in Gozo, the neighbouring island to Malta, and he set up his own foundry there to carry it out. Inspired by this experience he continues to cast his own sculptures, collaborating closely with his founders for major pieces (his largest commissions can reach a height of 30 feet). In the words of his London dealer, Gerry Farrell, ‘his studio resembles a blacksmith’s shop more than an academician’s atelier’. Fiddian Green’s work, despite its classical roots and sensibility, is worked: hewn and scooped, hammered and riveted. 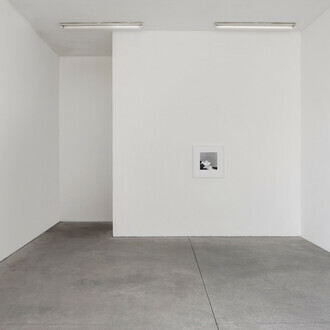 He deals with mass held in torsion: even in repose, his works quiver with energy under restraint. 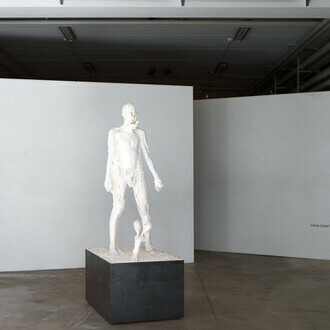 Critics have compared his work to Rodin’s and it is easy to see why. For Fiddian Green, a sculpture is not deemed finished when the clay model is sent off to a foundry to be reproduced as an edition of bronzes as if in a factory. For him, each piece in an edition is a new enterprise, which he casts from molten metal or moulds from sheets of weathered lead. He then modifies, refines and patinates, worrying at it until a unique work of art emerges. Fiddian Green does not make multiples. 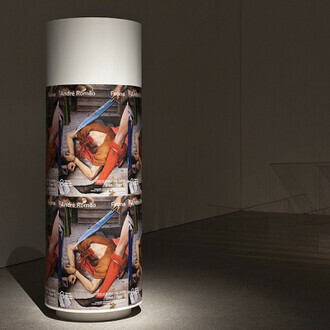 Each piece is a distinct work, whole unto itself and conceived to convey its own message and mood. There is something old-fashioned about him: crouching over his work and lit by the glow of the forge, he is like a leatheraproned artist-factor from an 18th-century painting by Wright of Derby. You feel that he could as easily put his hand to making a wagon-wheel or a bronze axe-head. Fiddian Green’s sculptures too have something of robust antiquity about them. Many critics have pointed out a classical quality in his work, but it is the classicism of the primitive Greeks who hewed Doric columns from stripped tree-trunks and hung the walls of the Parthenon with the shields of their vanquished enemies. These works have no frivolity. To use the equestrian phrase they are not ‘well turned-out’: they are like pieces of the earth’s crust exhumed and shaped by perseverance and design. Even though he works direct from live subjects, Fiddian Green’s horses have a shared elemental identity, a kinship with each other, with all living things and with the mineraline earth from which they are fashioned.